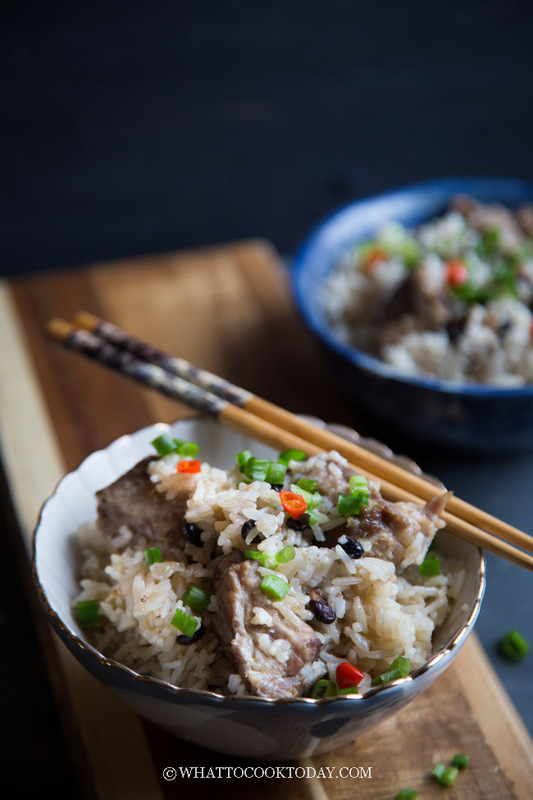 Delicious and easy one-pot Chinese-style black bean spare ribs rice can be made with a pressure cooker, rice cooker, or on the stove. All cooks in one pot regardless of which method you choose. 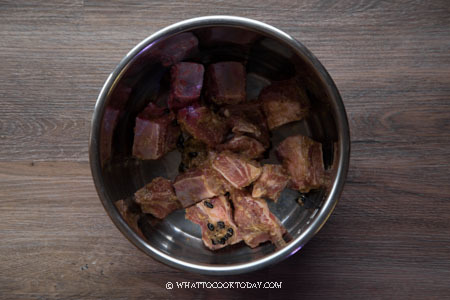 This dish is inspired by the Pressure Cooker Dim Sum Pork Ribs with Black Beans, which is one of my favorite dim sum dishes that we order every time. 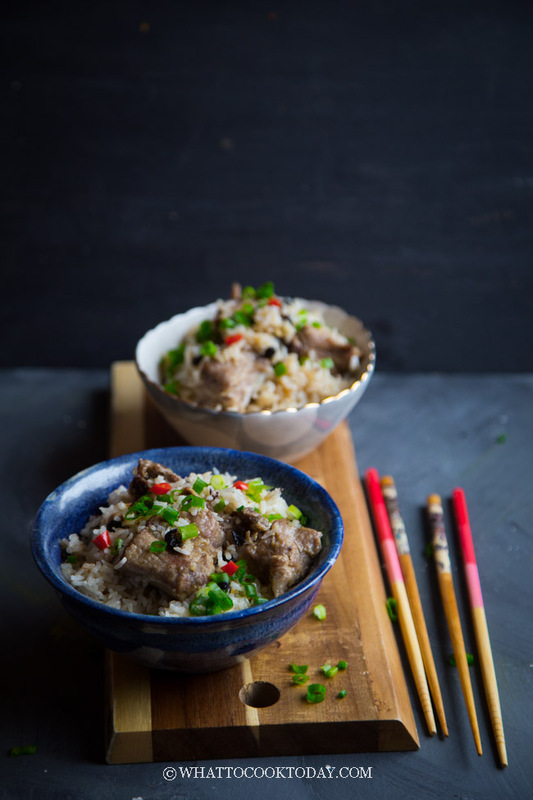 The spare ribs are marinated in aromatics like ginger, garlic, and Asian seasonings and then cooked with the rice. 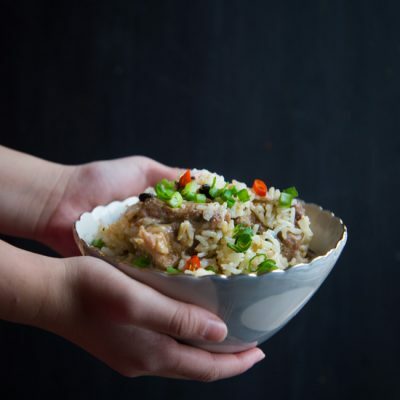 Whether you choose pressure cooker, rice cooker, or steaming on the stove, this dish is really easy and cook in one pot. 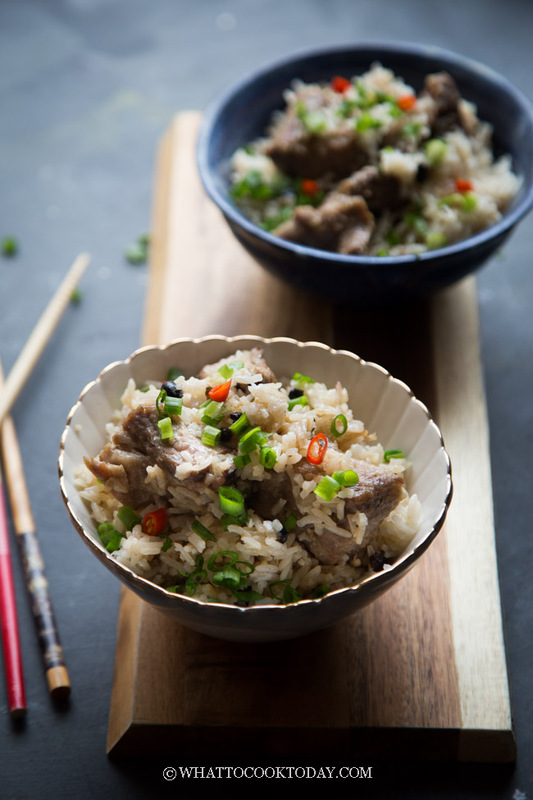 My kiddos LOVE this black bean spare ribs rice. 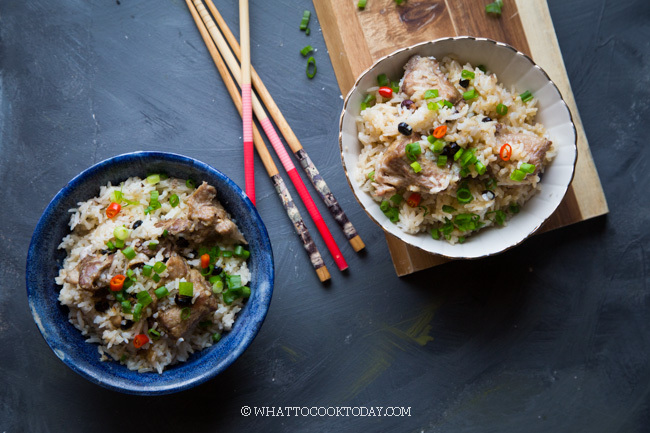 This recipe calls for fermented black beans (Chinese Douchi) or what we call “tau si” in Hokkien. 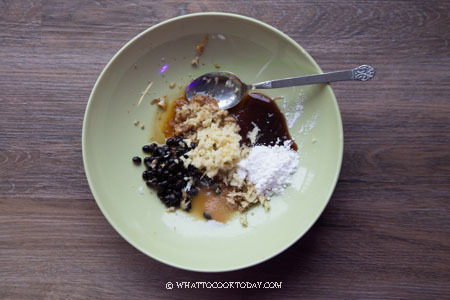 They are also known as salted black beans or Chinese fermented black beans. The process of fermentation and salting the black beans are how douchi is made. 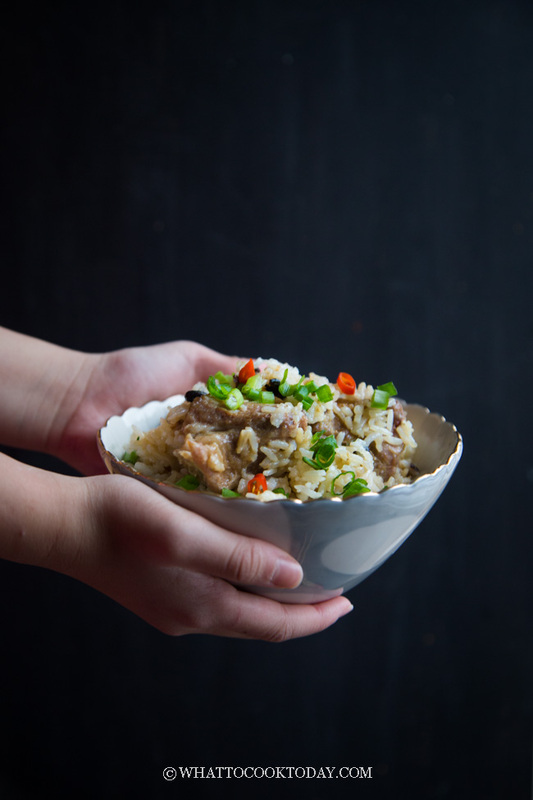 They are extremely salty, pungent, and usually added to Chinese cooking to kick things up a notch! Using the right amount on the right dish will really elevate the dish to the next level. 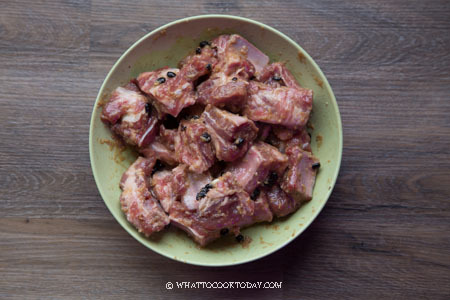 This recipe uses spare ribs, but you can use baby back ribs if you want. The dim sum place usually also uses spare ribs. Spare ribs are cheaper compared to baby back ribs. 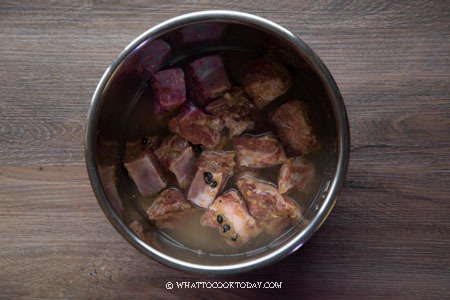 They are meatier and fattier, which means the latter part contribute to more flavor. BUT, either one you use, you will still get a great dish in the end. 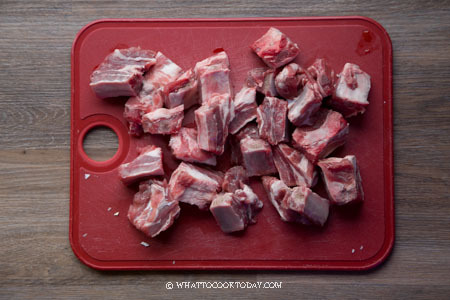 Just make sure you have the butcher cut the ribs into smaller pieces. 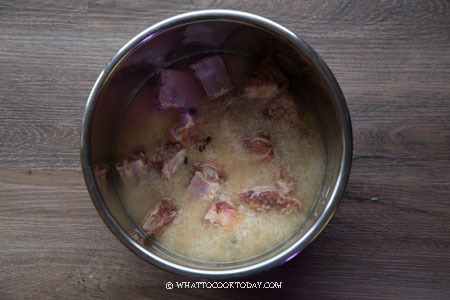 The rice is added later after the pork ribs to prevent triggering the “burn” alarm on the instant pot. Any starches that get caught at the bottom of the pot will trigger that. 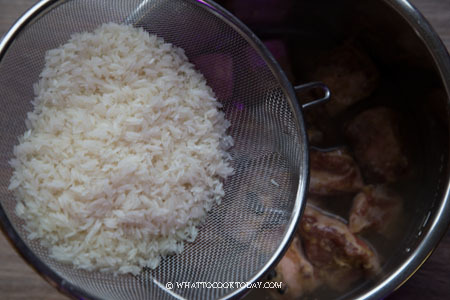 So layering the rice after the pork works wonderfully. 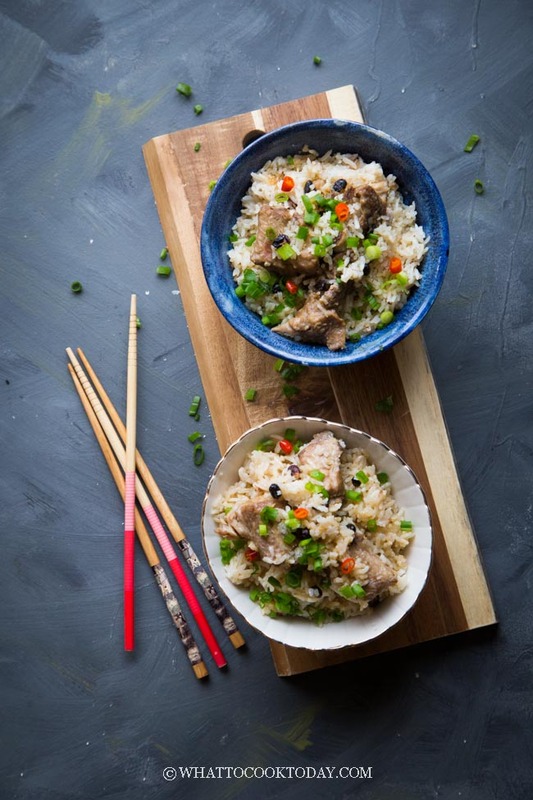 Now you just made yourself a delicious and easy one-pot black bean spare ribs rice. 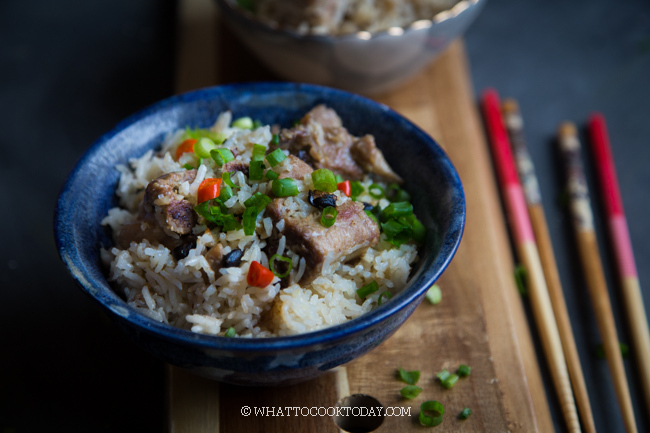 Delicious and easy one-pot Chinese-style black bean spare ribs rice can be made with a pressure cooker, rice cooker, or on the stove. I like eating pork ribs more than I should. 🙂 This dish looks absolutely delicious! It’s hard to resist when it comes to ribs!!! This marinade is the bomb! We love fermented black beans paste and always have some in the fridge. And need I say that pork spare ribs love it too:)? Pinned and making soon to enjoy with some dark lager! ohh…it would be so nice to go with the dark lager for sure! Hi, what would you recommend as an alternative to shaoxing wine? Also do you think I could use lamb ribs instead? Made your nasi ayam recipe in the instant pot yesterday and it turned out fantastic! Thank you! 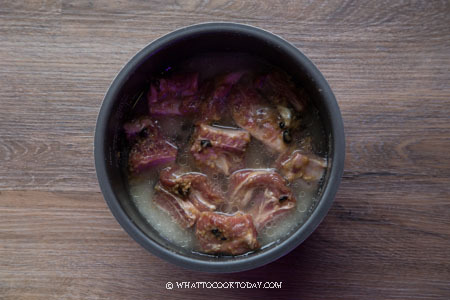 Hi Fina, you can certainly use lamb ribs and for shaoxing wine, you can try dry sherry, or mirin (not exactly the same, but should work too), or sake, or other Chinese rice wine if you have some. Hope it helps! 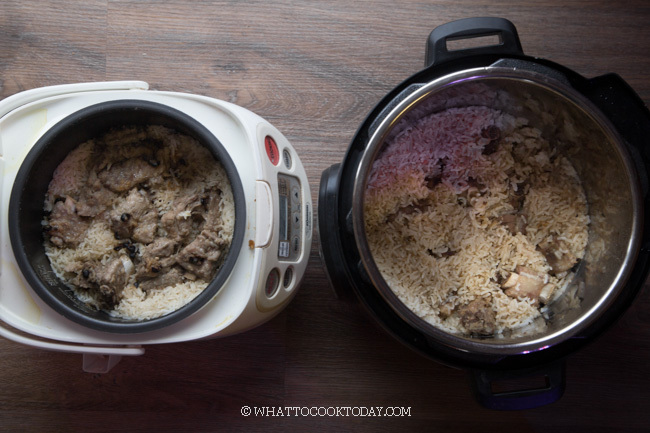 So happy to hear that you like the nasi ayam in the instant pot, that’s our favorite too!